Dark. Creepy. Gloomy. Scary. When I think of Stitch’s Great Escape at Tomorrowland in the Magic Kingdom, those are all words that come to mind for me. The attraction, in which you are new security recruit, is one that is high on the anxiety level for me, and low on the enjoyment factor. 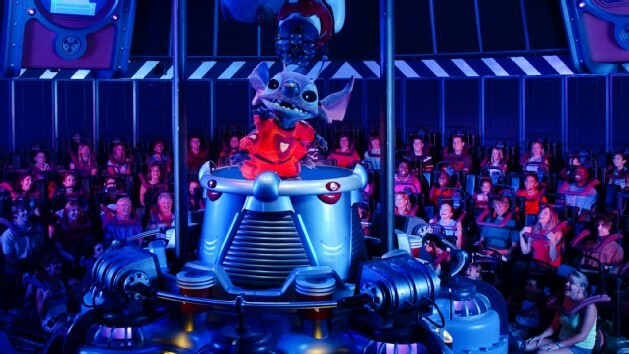 I do not like Stitch’s Great Escape, and it is not one that I look at for a good time…so why am I writing about this attraction, then? Which, when you combine together, you come up with two very important Disney words…Must Ride. So tell me, please, what do you think of Stitch’s Great Escape? Must Ride, keep off, never consider, or something else? Please let me know in the comments below, and thank you for stopping by today!